As our name indicates, drop forging is at the very core of who we are as a company. Over the years, we’ve built other capabilities around it, but our mainstay capability of drop forging continues to provide niche solutions for our customers. Green Bay Drop Forge provides true forging versatility by offering upset forging capabilities. We’re ready to go with our wide array of in-house machining services including: Turning, milling, roll threading, cut threading, grinding, and die manufacturing. Green Bay Drop Forge has designed and manufactured our own tooling and dies from the very beginning. We design and make 100% of our own tooling and dies in-house to give you the peace of mind that your forged parts will meet your exact specifications. Green Bay Drop Forge offers part-cleaning services for that smooth finish. We have aligned ourselves with outstanding regional heat treating resources. Over the years, Green Bay Drop Forge has built solid relationships with the best of the best metal heat treaters and partnered with them to offer you unsurpassed quality and service. 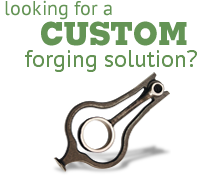 Offering a multitude of plating and finishing options, Green Bay Drop Forge takes great pride in providing pristine product to our customers. Understanding how your forged component fits into an assembly is a key part of our design process. We can utilize that knowledge to assemble your components or kit/stage them for future assembly. We can drop forge parts up to 15 lbs. in weight, and 32 inches in length, in a variety of carbon, alloy and stainless steel grades.